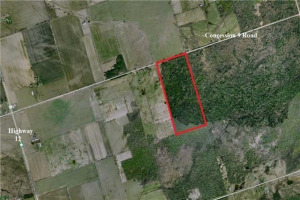 Fifty Acre Vacant Land/Building Lot With Over 1,000 Feet Frontage On Concession 2 In A Great Location About 10 Minutes South Of Growing Lakefront Community Of Beaverton. 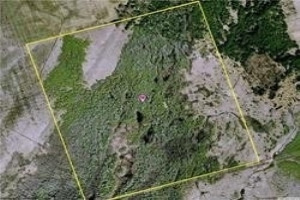 Flat Land Of Mixed Bush With Mature Cedars And Apple Trees, Small Pond Located In The Middle Of The West Portion. And Older Well. Property Is Fenced On Three Sides, And There Is Hydro At The Property Line.